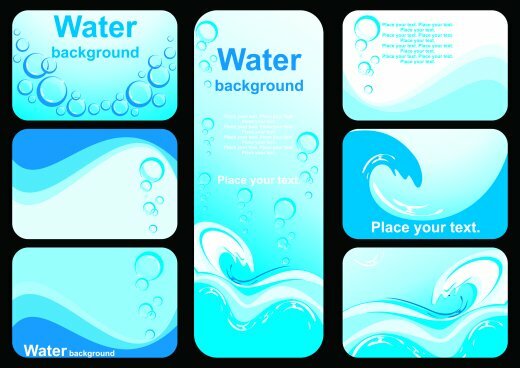 Beautiful set of water business card templates. An amazing collection of water elements in vector format for use in illustrator. All elements collected in one file EPS format + jpg Preview. the set contains fully editable vectors of blue abstract shapes. Enjoy it !! !